Khloé Kardashian's nutritionist Dr Philip Goglia has revealed the star eats seven meals a day, most of which are made up of fruit and vegetables. The 'Keeping Up With The Kardashians' star's nutritionist Dr Philip Goglia has revealed the star eats small but regular meals, most of which are made up of fruit and vegetables. Detailing Khloé's meal plan, he said: "For breakfast, she'll have one scoop of whey protein powder with one tablespoon almond butter and a fruit of choice blended with ice and water and made into a shake ... For her second meal of the day, Kardashian will have a piece of fruit of her choice. "4oz chicken breast with vegetables and salad that is high in iron (something like beetroot and spinach) [for meal three] and vegetables, so maybe one cup of celery or one cup of tomatoes with 12 almonds [for meal four]. "More vegetables - for this [fifth] meal, she'll have either one cup of celery or tomatoes with one egg. For dinner, she will have fatty fish - either salmon, sea bass, black cod or artic char. This will be served with 8oz of vegetables and salad ... After dinner, Kardashian can have a piece of fruit of her choice. (sic)"
However, Khloé isn't afraid to have a cheat meal every now and again but does drink a lot of water. "Drink your water! Always try to properly hydrate your body, regardless of her food choice or the day Khloe always makes sure to keep her water intake up." Kim Kardashian West is "obsessed" with make-up, according to make-up artist Pat McGrath, and the pair regularly exchange beauty secrets with one another. The 46-year-old make-up expert boasts a large celebrity clientele, and she has revealed the 36-year-old American television personality is one of her "rare girlfriends" who shares the same interest in cosmetic products and new beauty trends as her. Speaking to Elle UK Online, the mogul said: "Kim is one of those rare girlfriends who is truly just as obsessed with make-up as I am." And Pat has admitted she will spend hours talking about make-up with the 'Keeping Up With the Kardashians' star, which sees them exchange beauty secrets with one another. Pat added: "We can literally talk about products for hours! We share all our secrets." And one of the mogul's top tips is to experiment with various products and methods of applying them because she believes there is no such thing as a mistake. Pat, who received The Foundation's Award at the 2017 Council of Fashion Designers of America Awards (CFDA) on Monday, explained: "Anyone who knows or works with me knows I don't believe there's such a thing as a 'mistake'. With that in mind, I celebrate all aspects of make-up and find something beautiful in all 'trends'. "I remember, years ago, working on Amber Valetta and making her a beautiful, bronzed contoured look in the Versace campaigns of the late '90s. It's so fun for me to watch how that look has evolved." And Pat strives to make her muses feel confident and to encourage them to serve as "beauty inspirations" for other people. She said: "Being a #McGrathMuse is about confidence, individuality, and character. I want the people we elevate to icon-status to serve as beauty inspirations for everyone around the world. "From the beginning of my career I've used make-up as a vehicle to express my vision; my obsessions, inspirations and addictions. There's nothing more rewarding than seeing young people recreate some of my iconic looks. especially the Dior x Galliano ones that took us 18 hours to create in 45 minutes and then running out to the club - or the deli." Kendall and Kylie Jenner are reportedly "really struggling" without their father Caitlyn in their lives after her memoir caused drama between their family. The two 'Keeping Up with the Kardashians' stars have stopped being close to father Caitlyn Jenner - who was previously known as Bruce Jenner before undergoing gender reassignment - since the drama between Caitlyn and their mother Kris surrounding the star's memoir 'Secrets of My Life', and the family tension has reportedly "left a big void" in the lives of the two girls. A source said: "Both girls really struggle with not being close to Caitlyn. It's left a big void in their lives to not have the father they grew up with. She was a part of their lives every single day." Kylie has reportedly tried to "not take sides" during the ongoing drama as she still wants to "have a relationship" with Caitlyn, but insiders claim the whole ordeal has made it "very difficult" for her to do so. The source said of 19-year-old lip kit mogul Kylie: "Kylie has really made an effort not to take sides and to be supportive of Caitlyn. She really wants to have a relationship with her dad, but Caitlyn has hurt Kris tremendously and it's made it very difficult. With everyone in the family on Kris' side, it's hard on Kylie. She tries to keep it separate and doesn't want to discuss it with the rest of the family." Meanwhile, 21-year-old model Kendall reportedly has a "very strained" relationship with the 'I Am Cait' star, and the pair "rarely speak" to one another. The source told E! News: "[Their relationship is] very strained. [Kendall] rarely speaks to Caitlyn. Kendall is loyal to Kris and has very little to do with her dad. The more time that has passed, the more she feels Caitlyn has let her down with the things she has said and with her actions." 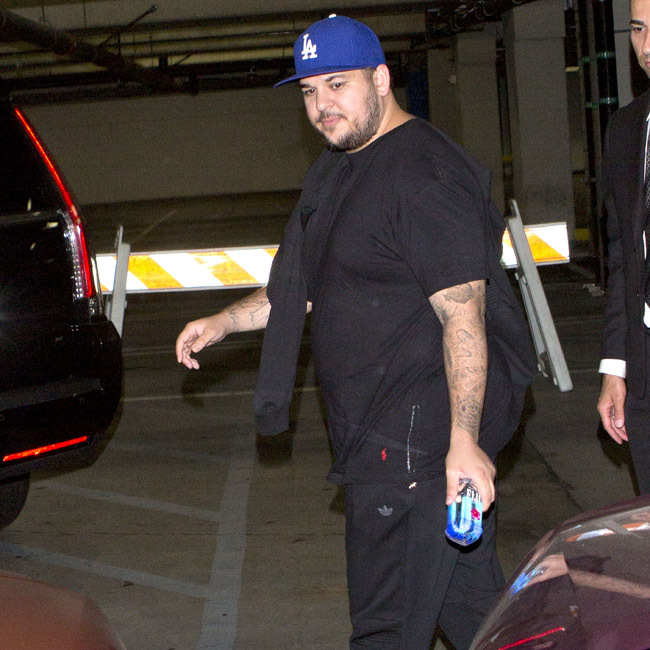 Rob Kardashian dating Mehgan James? Rob Kardashian is reportedly dating former 'Bad Girls Club' star Mehgan James, after splitting from Blac Chyna three months ago. The 30-year-old sock designer ended his turbulent on/off relationship with his ex-fiancée Blac Chyna - with whom he has six-month-old daughter Dream - earlier this year, and is now believed to be moving on with former 'Bad Girls Club' star Mehgan. A source told Us Weekly magazine: "It's fairly new. 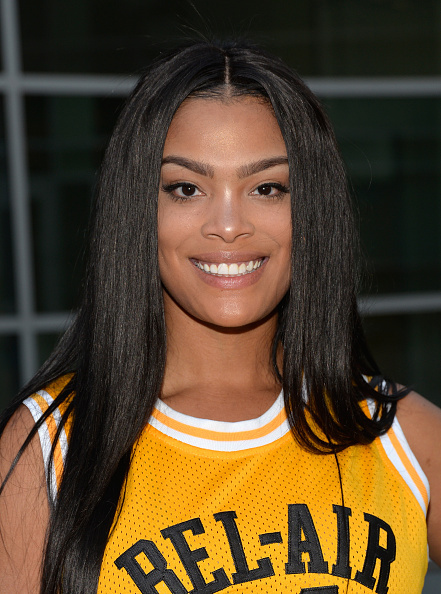 She's matured [since her time on 'Bad Girls Club'] and will be a good fixture in Rob's life should this continue." The insider added to the publication that the 'Keeping Up with the Kardashians' star and Mehgan, 26, are reportedly still keeping their relationship low-key for the time being. Reports of Rob's new beau comes after he recently gushed over his former partner and 'Rob & Chyna' co-star in a series of adorable Instagram posts. Sharing a picture of the model when she was a teenager on the photo-sharing app on Tuesday (30.05.17), Rob wrote: "On my first episode of Rob's Random Cornball Thoughts is This young lady who grew up to be the woman I love and the mother of my child. She is beautiful and gave me my first child @blacchyna (sic)"
The star shared another picture of the 29-year-old beauty - whose real name is Angela White - in Spongebob Squarepants shorts when she was just 14 years old. He captioned the photo: "Awww look at my little Angela at 14!!!!!! Hahahaha I LOVE YOU !!!!! @blacchyna (sic)"
Although the pair have been seen looking more cosy on social media in recent weeks, insiders insist the pair are not back together, and are merely acting civil for the sake of their daughter. A source claimed: "They are co-parenting and independently working on themselves but they're more cordial now than they have been, which is why they hung out recently. But by no means are they back together." Kim Kardashian West "knew on [her] honeymoon" that her marriage to Kris Humphries in 2011 would end in divorce. The 36-year-old reality star - who is now married to rapper Kanye West with whom she has three-year-old daughter North and 17-month-old son Saint - tied the knot with the baseball player in 2011 before filing for divorce 72 later, and has now admitted she rushed her nuptials because she wanted to be settled down when she reached the milestone age of 30. Speaking during an appearance on 'Watch What Happens Live', Kim said: "I just thought, 'Holy s**t, I'm 30 years old, I better get this together, I better get married. I think a lot of girls do go through that where they freak out thinking they're getting old and have to figure it out, all their friends are having kids. It was more of that situation. I knew on our honeymoon it wasn't going to work out." Kris and the 'Keeping Up with the Kardashians' star were officially divorced in June 2013, just one week before the birth of her and Kanye's daughter North. Meanwhile, Kim's relationship with Kanye is going strong after they both endured a traumatic end to 2016, with Kim being robbed at gunpoint in Paris, France, in October, and the 'Famous' rapper being hospitalised for exhaustion just one month later. A source said of their relationship last year: "Kanye and Kim had a stressful few months. It's been a tense time. But Kim is happy he's getting help. She's very focused on being supportive and managing the crisis that is going on. "She is super focused on him and is being the dutiful, responsible, loving spouse that one would expect. He has a huge support group. They are incredibly loyal to him and have been around him since day one. He has their support. It's not isolated to just him and Kim." Kim Kardashian West's mother, Kris Jenner, and sister, Kourtney Kardashian, have both offered to be her surrogate so she and husband Kanye West can have a third child. The 36-year-old beauty - who has daughter North, three, and son Saint, 17 months, with husband Kanye West - has made no secret of the fact she wants another child but was previously warned by her doctors it wouldn't be safe for her to conceive again because of the health problems she's experienced in her last pregnancies. And in scenes aired on 'Keeping With the Kardashians' on Sunday, her mother Kris Jenner, 61, explained how her own doctor her told her she no longer has viable eggs, but that doesn't mean she can't carry a baby. But Kris wasn't the first family member to offer to carry an embryo to term for Kim and Kanye, as 38-year-old Kourtney Kardashian - who has children Mason, seven, Penelope, four, and Reign, two, with former partner Scott Disick - also volunteered. She told Kris: "I already offered myself. So, don't act like you're the only Mother Theresa in here!" Kris had gone to have her fertility checked out after she received a letter from a lawyer acting for a married couple, who had been unable to conceive naturally and wanted to buy eggs from the family matriarch because she has an "impressive track record in producing successful and outstanding offspring." The momager was flattered by the letter, but Kourtney found the request "ridiculous". She said: "It's definitely a compliment that somebody wants to purchase your eggs, but she's 61. "I don't think she has any eggs. That is absolutely ridiculous." Meanwhile, Kim's friend Chrissy Teigen - who has openly spoken about her own fertility problems prior to getting pregnant with her and John Legend's daughter Luna, now 13 months - previously offered to be a surrogate for her pal. She said: "I would be her surrogate in a second. I really enjoyed the pregnancy process - I loved it. Yes. In a heartbeat. "I did IVF - science is miraculous these days, anything is possible. I hope whatever she does is gonna work out for the best, and it's gonna be beautiful either way." Kim was previously warned she could "bleed to death" if she fell pregnant again. She told her doctor: "Lately I've been thinking I would love to maybe have another baby. But like I had two really difficult pregnancies and really difficult deliveries so getting pregnant again it's something that does concern me." But the medic warned: "Here's what I think, your pregnancies, you had toxaemia, you had a retained placenta, very traumatic, we're always worried about the next serious complication. I think the potential fear of the whole situation is legitimate. "You never know that you might not have the same type of problem that might be more serious this time. You're always taking a little bit of a chance. There are situations where retained placenta could be life and death." Her mother Kris bluntly added: "You could bleed to death."